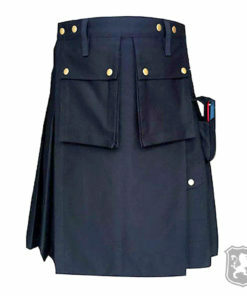 The Denim Kilt With Tactical Pocket is a kilt that we made specially for hard working men. 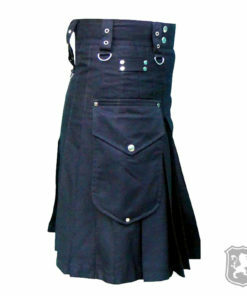 It is made by using a high quality durable denim fabric which looks and feels amazing to wear. 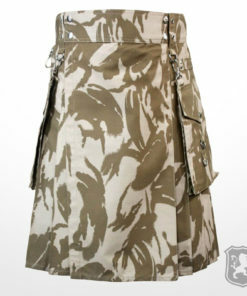 It is comfortable, stylish and comes with two tactical pockets that can store all of your necessary stuff easily and still have room for more. 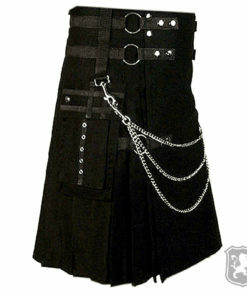 The belt holders are big and have decorative chrome hooks attached to them. 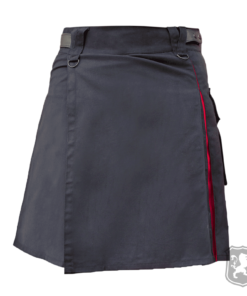 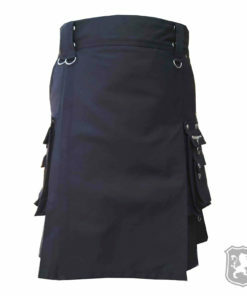 On the front of the kilt you will see that it has little to no decorations at all but just a plain apron with denim material. 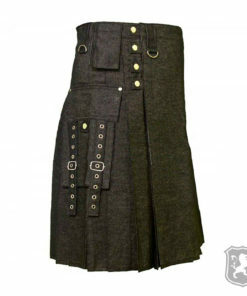 The texture of denim is of high quality that is why it looks really amazing and stunning. 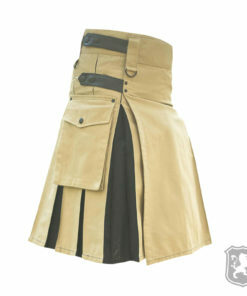 On the side, it has two large flap pockets. 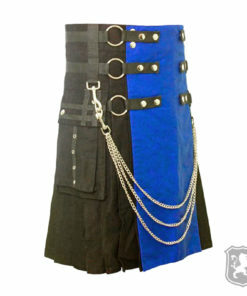 One is simple and another one has decorative leather straps and chrome hooks. 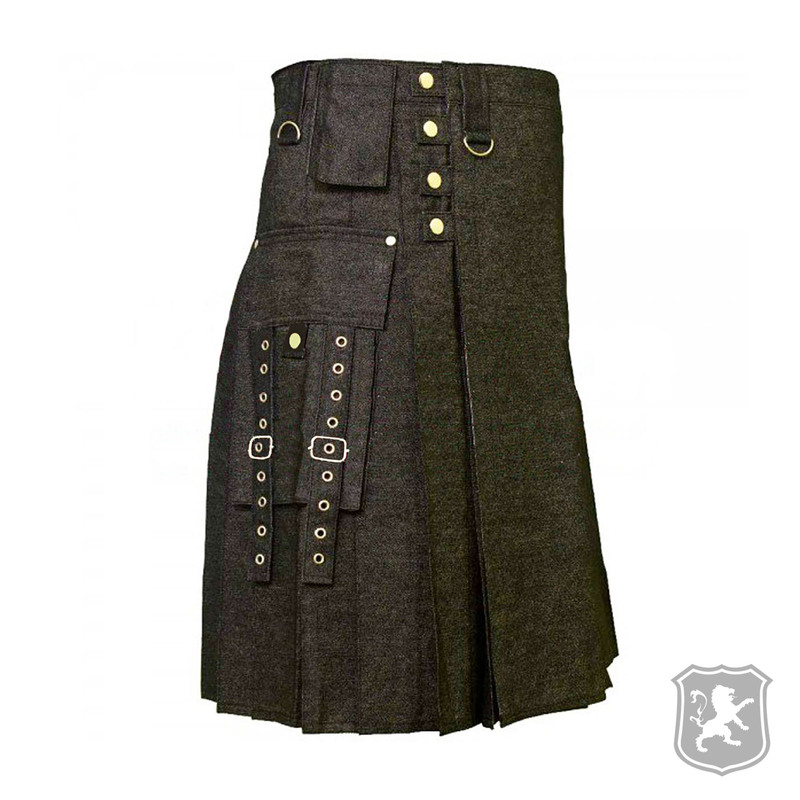 The pockets are big enough to store all of your important things. 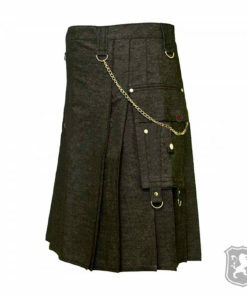 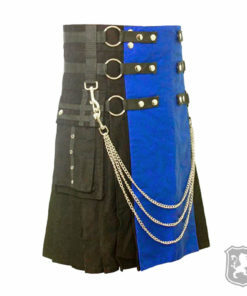 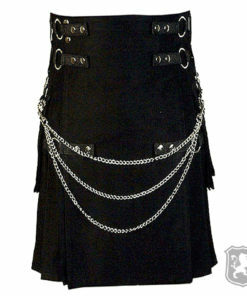 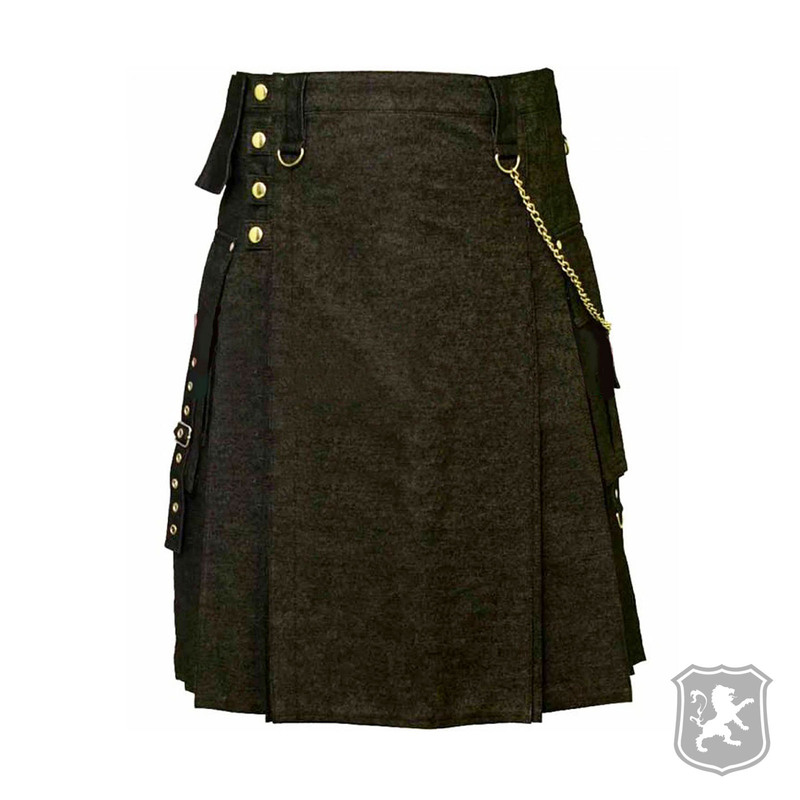 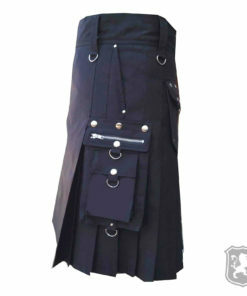 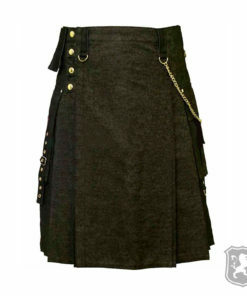 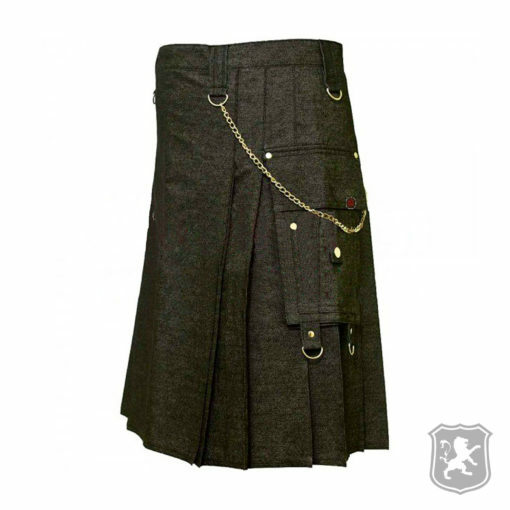 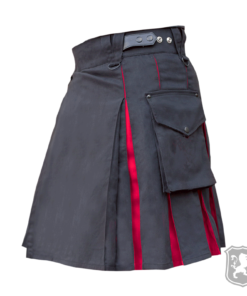 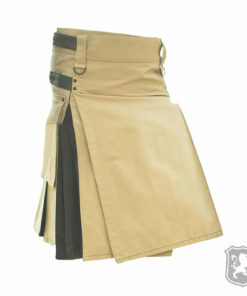 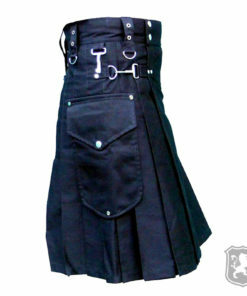 All the decorative chrome metal used on this kilt is rust-free which means you don’t have to worry about them either. 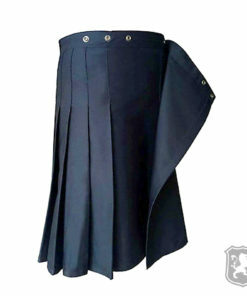 The pleats of this kilt are sewn deep to make it comfortable to wear. 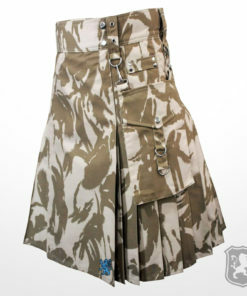 Good heavy material and nice as I hoped it would be.